Home > Blog > What We're Cookin'! 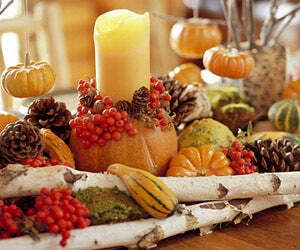 We’re getting ourselves prepared for the Thanksgiving Feast in advance this year. And we thought, while we’re at it, we may as well help all of you get prepared as well. After all, there’s always so much to do come early Thanksgiving morning: there’s the turkey—the star of the show, you have stuffing, mashed potatoes, gravy, cranberry sauce, pumpkin pie, and so much more. I went around the office today, asking people to share their personal recipes for all the basic food groups that are presented in the typical Thanksgiving dinner (pretty much everything I listed above). Mark, vice president of Everything Summer Camp, takes a different approach to his turkey preparation with a cooking method called spatchcocking. Check out what he does for Thanksgiving right here. Matt, our Sales Director, makes a mean stuffing dish. Take a look at the recipe he uses every year. 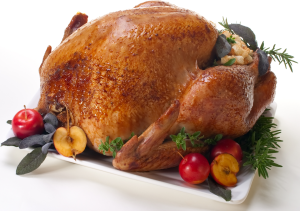 What’s a Thanksgiving meal without any gravy on your turkey, potatoes, or stuffing?! When you make it this good, you’ll want it on everything. See what the manager of our graphics department, Nate, does for his Thanksgiving dinners. Our Call Center Supervisor, Anita has her Creamy Mashed Potatoes down to a science. Here’s how she gets them perfect every year! Cranberries? Apples? Marshmallows? This sauce didn’t come from any can. Make cranberry sauce like our Missy does for a delicious Thanksgiving treat! Get her recipe right here. Leave room for pie! This traditional pie is a favorite for most families at Thanksgiving. 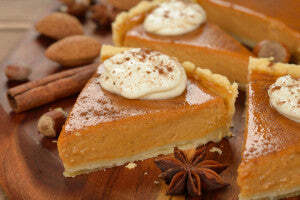 Get Mellina’s recipe for her delectable pumpkin pie recipe right here. Crazy about the Jell-o his mom makes every year, Tim wanted to share this recipe for Layered Jell-o, made using cream cheese. See the recipe right here. This last recipe sounds like a refreshing, light, bite-sized treat after a fantastic feast! Get the recipe from our Maintenance guy, Art, right here. This one has been in his family for over 80 years! 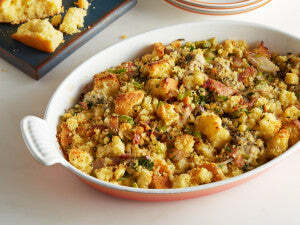 Stick with these tried and true recipes and your Thanksgiving feast is bound to be a smash-hit among your friends and family. Enjoy the holiday and, as always, thanks for reading!